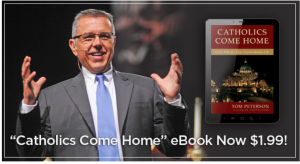 Catholics Come Home’s Tom Peterson has a special offer: Catholics Come Home Book Now $1.99! Today, for a limited time, you can purchase the Kindle eBook edition of my popular evangelization book, Catholics Come Home: God’s Extraordinary Plan for Your Life, for just $1.99! That’s more than 80% off the normal price! What if you don’t have a Kindle or e-reading device? Not a problem. 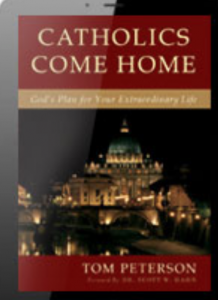 You can still read the Catholics Come Home eBook on pretty much any computer, phone, or tablet. Just click here to download one of Amazon’s free Kindle reading apps, purchase the $1.99 eBook on Amazon, and you’re ready to read and evangelize with more passion and direction!